The River & Rowing Museum will once again be filling the Christmas holidays with fun for all the family. This year families can join the characters from Wind in the Willows, Mr Toad, Ratty, Mole and Badger, for ‘Christmas with Mr Toad and Friends’, an event combining crafts, activities, songs and dance. 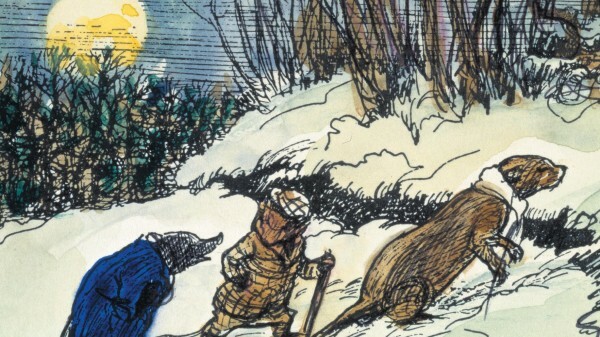 At ‘Oh No You Don’t’ on 2 January, children will have the unique opportunity to not only write and create their own pantomime scene with the Wind in the Willows characters, but perform alongside them as well. Other events include ‘The Sound of the Wind’ where families are able to listen to the wind with their own wind chimes made from recyclable materials. The RSPB return for another ‘Big Garden Watch’ with lots of fun wildlife-related activities to enjoy, such as making animal masks, dragonflies and bird feeders. The RSPB will also be hanging up bird feeders outside the Museum, full of tasty snacks for the birds to feast on. Children will be encouraged to bird watch with binoculars and record what they see on the Big Garden Birdwatch list. The awarding winning River & Rowing Museum announced record visitor numbers last year and looks set for another exciting year of exhibitions, workshops and activities. Visit rrm.co.uk for more information. Full listings below. Join Mr Toad and his friends Ratty, Mole and Badger as they celebrate Christmas with crafts, activities, songs, dance…and presents! Find out what happens to wildlife in the winter. It’s pantomime time! Make your own collage scene on a stage with Wind in the Willows characters and get ready to perform! Hear the sound of the wind with your own wind chimes made from recyclable materials. Hang up in the garden and wait for a breeze! The RSPB returns for another Big Garden Birdwatch. Lots of fun wildlife-related activities to enjoy, including making animal masks, dragonflies and bird feeders. The RSPB will be hanging up some feeders outside, full of tasty snacks for the birds to feast on. Look through their binoculars and see what you can spot. Make a note of what you see and add your results to the Big Garden Birdwatch.